There is no question about the fact that a freshly landscaped garden or lawn boosts the aesthetic values of both a new and an old home. Not will not only provide you with a majestic sight, but will undoubtedly compel your guests, family and friends to compliment how well-maintained your back-yard or front lawn is. And at Roots Landscaping we provide both home and commercial owners highly professional and efficient landscaping services. At Root Landscaping, we are all about perfection and excellence. We like to bring a big smile on our client’s face, which is exactly why we provide you with an array of topnotch services. Along with maintaining, cutting, mowing and leaf removal services we also provide both homeowners and commercial clientele with an elaborate, trendy and awe-inspiring landscape designs. We can tell you what will look good on your back-yard and can set-up an entirely new landscaping design from scratch. Once this design is complete, our fencing installation services can keep your beautiful yard safe from any critters. Creativity is the cornerstone to a brilliantly maintained and designed lawn, which can also significantly boost the market value of your house. Landscaping always looks brilliant when it is unique, and we at Roots Landscaping have the brains and the tech to bring you something you might have never seen anywhere in the neighborhood. For us, providing commercial landscaping for our clients is all about perfection and superior quality. We want your customers to walk into your building with a positive attitude reinforced by how unique your landscaping looks, and believe us, it plays a big role in brand recognition. We help you significantly boost and maintain the appearance of office parks, corporate campuses, parking lots, apartment buildings and complexes and industrial parks. If your property needs an added boost in aesthetic appeal, our masonry services can be just the touch your home needs. 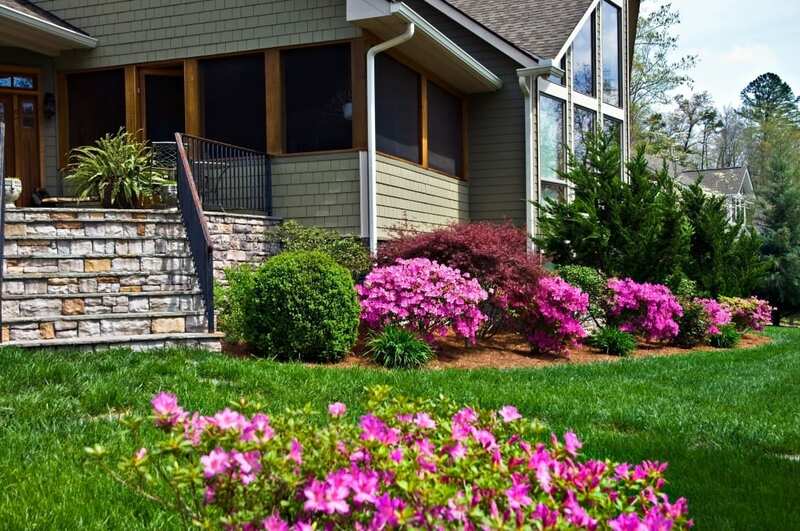 We have become the premier providers of exceptional landscaping services in Danbury, Connecticut and we care about our customers.